California, The Golden State and home of the Death Valley, is the not the most densely populated, but it is indeed the most populous state of the nation. 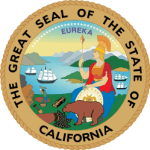 The Gold Rush in 1948 was followed by reeling of the California in footsteps of being the 31st constituted state of the nation. Agriculture, Manufacturing, education and Aerospace industries are the major drivers of the state’s economy. The state is home to many largest, longest, tallest and oldest flora and fauna of the nation. Health care industry in California is training way behind the likes of trade industry and Estate Industry. California has large coastal regions and healthy economy yet the unemployment rate is more than 12%in the state. The state has healthy health status and people are conscious about the Medicaid, Medicare services and importance of health issues. What are the California Boards of Nursing and what are their roles and functions? Department of Consumer Affairs is the main administration body of nursing in the state. California is one the three states having two working nursing boards. Both of the Boards are responsible for taking care of medical practice and maintaining the standards of nursing programs in the state. Situated in Sacramento, Board of Registered Nurses regulates the medical practice and nursing programs relevant to the Registered Nurses and Advanced Practice Nurses in the state. Enforcement of Nurse Practice Act. Reviewing the Registered Nurse training programs and providing the practice information. The Board also maintains a record of the misbehavior complaints and abuse record of various nurse practitioners. Licensing, Certification, Reinstatement, Renewal and Re-certification of licenses for Registered Nurses and APN in the state. Situated in Capital Oaks Drive, Board of Vocational Nursing and Psychiatric Technicians is the governing council for various LVN and PT working in the state. The Board is responsible for maintaining the standard of service in the state and safeguarding the public interests. Checking the license and performance of various training schools, Vocational nurses & Psychiatric Technicians in the State. Acting on the complaints filed in abuse record.